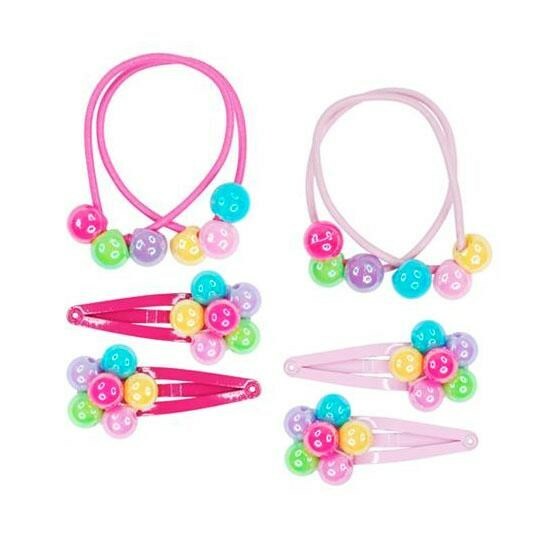 Do your hair like you're really at the carnival with these bright balloon themed hair accessories! Recommended for 3 years and over Product dimensions 110mm x 75mm x 10mm. Price is for set of 2 clips and 2 elastics. Colour is selected at random.